English film and television actress known for her recurring roles in television series like Patrick's Planet, The Proxy, and The Syndicate. She has since gone on to portray lead character Grace Atwood in the Freeform series Guilt. After training at the Dorothy Colbourne School of Dance, she began her acting career playing Kate Barber in the series Feather Boy. She portrays Arriane Alter in the 2016 film Fallen. 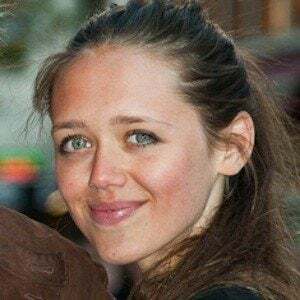 The daughter of Buffy the Vampire Slayer star Anthony Head and author Sarah Fisher, she has one sister, Emily Head, who is also an actress. In 2016, she joined the cast of Underworld: Blood Wars alongside Kate Beckinsale, Theo James, and Tobias Menzies.